Since 1998 MISRA guidelines have been widely adopted to ensure the quality of safety- and security-critical software in automotive, aerospace, defense, industrial, medical, and rail applications. By following MISRA rules, developers can be assured that they are using the most stringent software coding guidelines to mitigate liability and risk in software applications on which human lives depend and to avoid coding practices that can introduce security vulnerabilities. The ability to quickly and easily analyse software against programming standards delivers tangible benefits to development teams in terms of code quality, consistency, and reduced time-to-deployment. These checks occur during unit, system, or integration testing to ensure compliance throughout the software development life cycle. All versions of the MISRA rules (MISRA C:2012 (Edition 3, Revision 1), MISRA C:2012 AMD1, MISRA C:2012, MISRA C++:2008, MISRA C:2004, MISRA C:1998, and MISRA AC) are completely integrated into the LDRA tool suite for efficient MISRA checking within a familiar development environment. The LDRA tool suite locates and highlights areas of non-conformant code to aid documentation and modification. 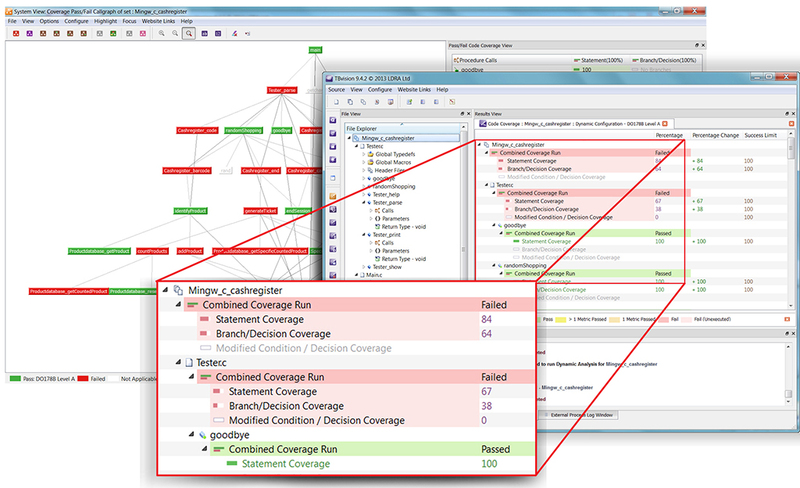 Extensive reports and graphical displays enhance understanding of the source code, facilitating improvements in testability, understandability, and maintainability in line with MISRA rules. The LDRA tool suite also enables coverage measures to be taken to ensure software testedness is measured and maintained, as recommended by the MISRA guidelines. For every coding standard we support, we offer a complete compliance matrix so you can see exactly which rules are implemented within our tools. You can easily compare tool compliance to multiple versions of the standard, and you can assess compliance for multiple standards. LDRA has demonstrated long-standing leadership in the development and support of safety- and security-critical industry standards. LDRA representatives comprise four of the 11 positions on the MISRA C committee, and the company provides the most comprehensive support for MISRA rules through the LDRA tool suite, LDRArules, and LDRAlite for ARM DS-5 software products.